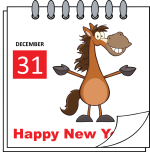 The New Year is a fun time, and this ESL New Year vocabulary page will let you learn many of the words that you will need to be able to talk about the fun things you do. Your friends will often want to know what you plan to do, or what you did do, for the New Year holiday, so this page will help you learn what to say. There are two main sections to this page. In the first section there is a vocabulary list with many words, and their definition, about the New Year. You can use the list to learn the words or as a reference that you come back to look at when you do not know the meaning of a specific word. Following the list there is a set of flashcards with pictures of many of the words that you can use to help you remember the meanings of the ESL New Year vocabulary. Then there are a couple or recordings of the vocabulary being spoken by a native English speaker so you can hear the correct pronunciation. Identify the definition and word that match. Identify the word and definition that match. Identify the word and picture that match. The following is a list with all the ESL New Year vocabulary words. Each word has a definition as well as the part of speech shown. Then after the list there is a set of flashcards with the New Year vocabulary words and definitions on them, as well as recordings of the vocabulary being spoken by a native English speaker. 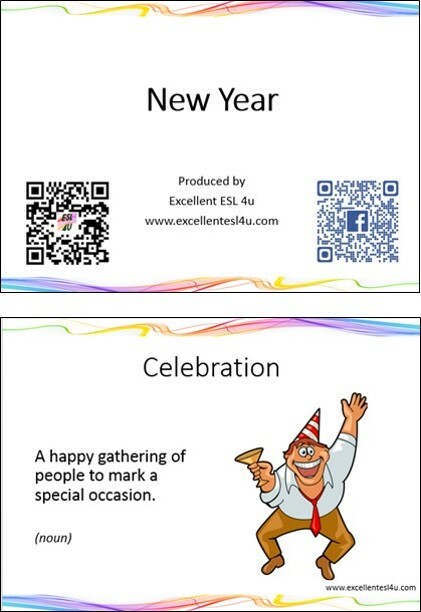 Here there is a set of flashcards with the ESL New Year vocabulary. Many of the cards also have a picture to show what the word means. You can either click on the following picture or link to download the flashcards to your own computer. Now there are two recordings of the ESL New Year vocabulary being spoken by a native English speaker. In the first recording you can just listen to the correct pronunciation of the words, while in the second recording you can watch a video of the flashcards being shown at the same time as hearing the correct way to say the words. For the first ESL New Year vocabulary exercise you need to chose the best option (A-D) in each question that has the correct definition of the word given. When you have finished you can use the get score button to show the correct answers. Choose the correct definition for the New Year vocabulary in this quiz. 1) What is the definition of Bagpipes? A) The first day of the year when using the Gregorian calendar. B) A written record of the days and months in each year. C) Small inflatable decorations for parties. D) Traditional Scottish musical instrument that are played a new year celebrations. 2) What is the definition of Champagne? A) A white wine with bubbles in it that is drunk a celebrations. B) The group of people that you are related to. C) A device that measure the passing of time. D) A specific action that is always done in the same way and at the same time. 3) What is the definition of Fireworks ? A) A specific action that is always done in the same way and at the same time. B) A group of people that come together for the same occasion. C) A small explosive that produces bright colors that people use a celebrations. D) The clothes worn at a party were people dress-up as something different. 4) What is the definition of Invite? A) The time when the last year ends and the next one starts. The 1st of January in the Gregorian calendar. B) To ask someone to attended an event or party. C) The new year under the Chinese calendar. 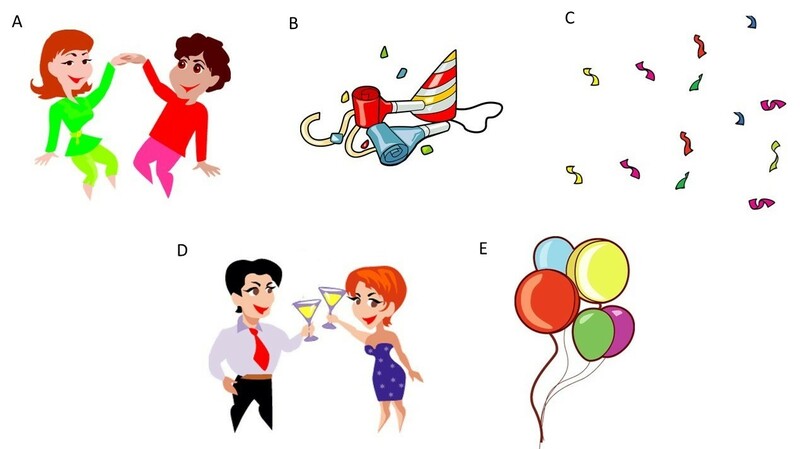 D) The person who gives and organizes a party. 5) What is the definition of Public holiday? A) A person who is attending a party. B) The last day of the year. The 31st of December in the Gregorian calendar. C) A day when the whole country does not need to work. D) A person who plays the bagpipes. 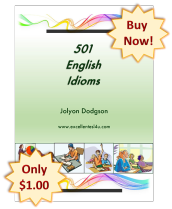 For the second ESL New Year vocabulary exercise you should again chose the best option (A-D) that has the word to match the definition given in the question. Then there is the get score button again for you to use to see the answers. 1) What is the meaning of the following definition: To celebrate an occasion or person by drinking something? 2) What is the meaning of the following definition: The time in the middle of the night when one day ends and another day starts? 3) What is the meaning of the following definition: The clothes worn at a party were people dress-up as something different? 4) What is the meaning of the following definition: A large group of people? 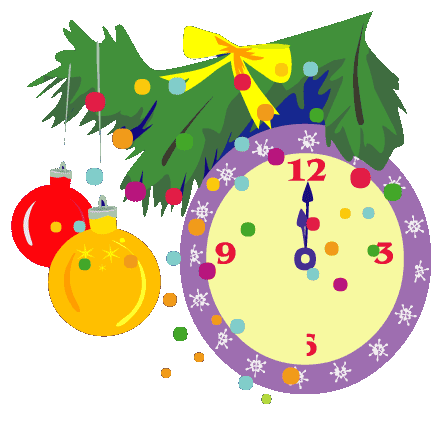 5) What is the meaning of the following definition: A big clock in London that signals the start of the new year in the UK? For the third ESL New Year vocabulary exercise you need to identify the best option (A-D) in each question that has the word that matches the indicated picture. You can again see the correct answers by using the get score button.